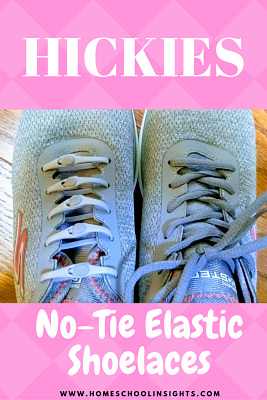 Have you heard of Hickies No-Tie Elastic Lacing System? These little laces are really cool! I've had such a fun time spending time trying the new style of lacing. Who else wants to try them? 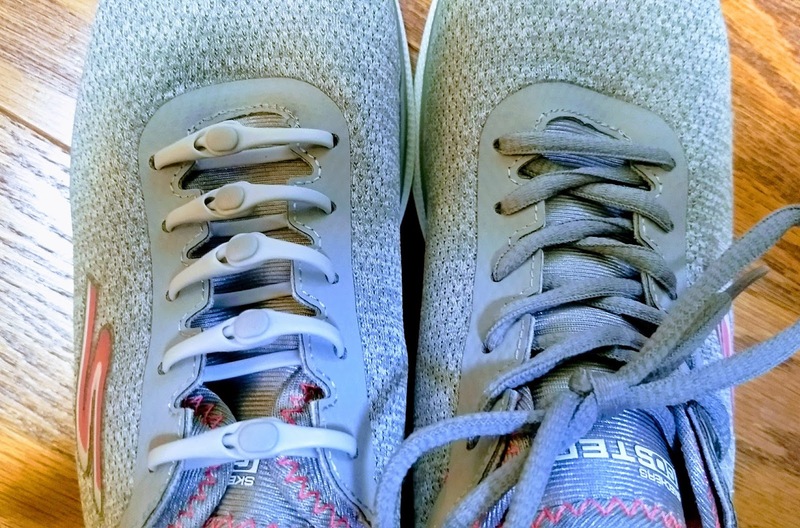 If you're like me, you hate tying shoelaces. When you're out exercising, no one wants to have to re-tie your shoelaces. And, even worse than that, is tying your kid's shoes. Oh, my! I've spent so much time tying and tying the shoes of my children. There's got to be a better way! Hickies Lacing System is the better way to lace your shoes. I was sent two sets for a review, and I got to pick a color that matches my own shoes perfectly. My newer light-grey tennis shoes were the best choice to try out my new Hickies. When I opened the adult set, I was pleasantly surprised to see the easy-to-follow directions. There are many different ways to use the Hickies. I laced mine with the regular pattern. 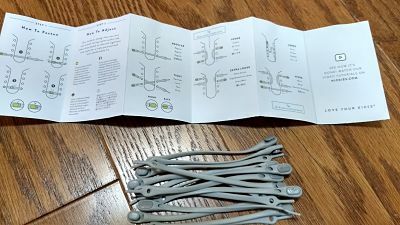 They show 6 different lacing patterns on the instructions. This is great for people who need them laced: regular, tighter, looser, extra-loose, loops and mixed. 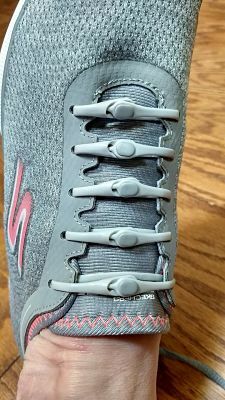 These little elastic laces are very easy to insert and they really work well. I wear a medium shoe, but have narrow heels. Lacing with the regular pattern fit me well. There was no slipping when I walked around. You'll love the fact that you can just slip the shoes off and on with ease. I'm ready to do just about anything wearing these Hickies! If you have kids, you're going to want these for each kid. They come in many colors, too. The mixed colors are also fun and kids will love the choices! Don't you love them? You can get them now with this discount code, especially for Homeschool Insights readers! Disclosure: This is a sponsored post. I received Hickies laces in exchange for a honest review. All opinions are 100% my own.